A team of researchers from U of T are collaborating with Thoth Technology to unlock the mysteries of Fast Radio Bursts (FRBs). Industry Partner: Thoth Technology Inc.
Photo courtesy of Andre Renard, Dunlap Institute for Astronomy and Astrophysics. Astronomers around the globe are marveling over a mysterious new appearance in the galaxy. Fast Radio Bursts (FRBs) are rapid, intense and very bright bursts of light that have been appearing in the sky. Lasting fractions of a second in duration, they have made a lasting impression on astronomers and have raised vast questions about their origin. A researcher from University of Toronto and her team are using SOSCIP’s supercomputers to investigate the nature and origin of this strange but beautiful phenomenon. The explanation for these rapid bright bursts ranges anywhere from wildly speculative suggestion of alien signals, to the more astrophysical but still extreme suggestions of collisions between the dense objects like black holes or flares on magnetars. 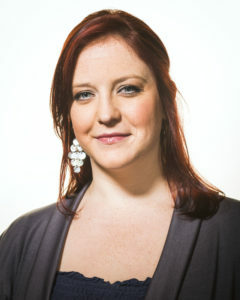 Working closely with Prof. Hlozek is a postdoctoral fellow at the Dunlap Institute and a SOSCIP TalentEdge Postdoctoral Fellow, Tina Peters, a PhD graduate from Drexel University. 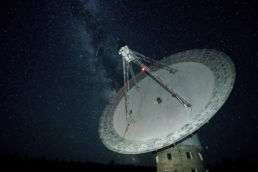 The female-led team will apply machine learning techniques to help classify and understand FRBs with data collected from the Algonquin Radio Observatory (ARO), Canada’s largest fully-steerable radio telescope at a massive 46-meters in diameter. They are supported by industry partner, Thoth Technology Inc., a Canadian space and defense company which provides Space Situational Awareness (SSA) services at ARO and also supports astronomical research. “UofT’s work on FRBs is a very exciting new field. And one that has really captured the public imagination,” said Dr. Caroline Roberts, CEO and President of Thoth, which she also co-founded in 2001. Both Dr. Roberts, from Newfoundland, and Prof. Hlozek, from South Africa, are Rhodes Scholars. This is not Thoth Technology’s first collaboration with SOSCIP or UofT. Thoth Technology has collaborated on several SOSCIP R&D projects with UofT professors, Ue-Li Pen, Keith Vanderlinde and Marten Van Kerkwijk. “We have a very active astronomy program with UofT,” explains Dr. Roberts. The previous projects include building innovative technologies to create virtual, real-time VLBI techniques. VLBI, or very long baseline interferometry, involves using large telescopes located in different geographic locations to create a much larger and powerful radio telescope. You can read more about Prof. Pen’s project here. “It’s a wonderful opportunity to work with UofT researchers. As a company, we have access to a highly skilled and educated pool of graduate students and postdocs that we hope to hire from. There are so many advantages for a company like ours to work on these innovative collaborative projects,” said Dr. Roberts. 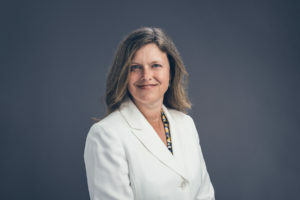 “One of the great things about the support from SOSCIP, IBM Canada and FedDev Ontario is the really incredible connections. As a person new to Canada, it’s unique to see an initiative like SOSCIP which aims to combine industry and academia to facilitate connections and build a collaborative community,” said Prof. Hlozek. The team is aiming to develop a proven methodology by Summer 2018 and is excited about what insights may be gleaned. “It’s a little blue sky, but there is a lot of reward in unravelling the mystery,” said Prof. Hlozek.